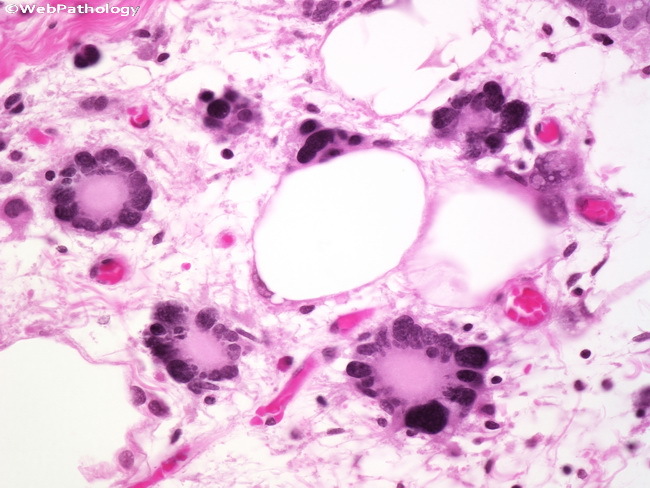 High power view showing wreath-like arrangement of hyperchromatic nuclei around deeply eosinophilic cytoplasm in a pleomorphic lipoma. Most pleomorphic lipomas and spindle cell lipomas show loss of chromosome material from 16q and sometimes from 13q. Immunohistochemically, the tumor cells in both show positivity for CD34.